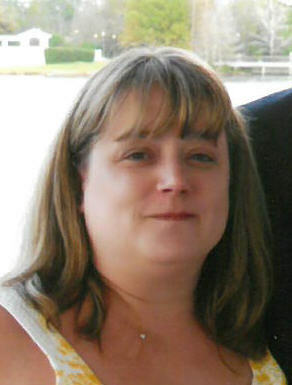 Jeannie E. Schneider, age 49 of Kenosha, passed away on Monday, April 8, 2019 at Froedtert South-Kenosha Campus. A lifelong resident of Kenosha, she was born on March 24, 1970 and was the daughter of the late Hugh and Holly (Halvorson) Swanson. On September 3, 1994 in Kenosha, she was united in marriage to Richard Schneider. Devoted to her family, Jeannie always tended to their needs before her own. She was very friendly and liked to socialize. Jeannie enjoyed attending the Wisconsin State Fair and taking care of her home. She is survived by her husband, Richard Schneider; her two children, Brian (Nicki) Swanson and Jonathon (Alex) Schneider; her brother, Hugh Swanson; her mother-in-law, Ginger Maki; her brother and sister in-law, Bryan (Terri) Schneider; her nieces and nephews, Nick, Tessa, Haley and Ty; and her faithful canine companion, Mr. Magoo. In addition to her parents, she was preceded in death by her father-in-law, John Schneider. The family would like to extend a special thank you to the I.C.U. Staff of Froedtert South – Kenosha Hospital Campus for the compassionate care they provided to Jeannie.